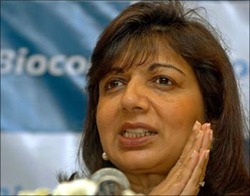 Top 10 Indian businesswomen of 2011! The number of influential women in Indian business is increasing by the score. Whether it is in the media, banking sector, education, manufacturing or financial services, it is difficult to ignore the presence of businesswoman in India. Let’s take a look the ladies who feature in the top 10 list for 2011, in no particular order. 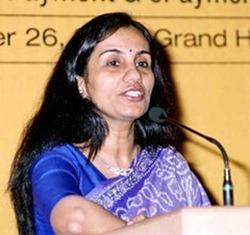 What more can you say about a woman who has risen from the rungs of a management trainee to the CEO of ICICI Bank? 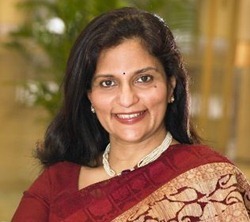 The winner of numerous awards such as Retail Banker of the Year 2004, Business Woman of the Year 2005, Rising Star Award, Best Retail Bank in India award, Excellence in Retail Banking Award, Padma Bhushan Award and many more, Chanda Kochhar has been pivotal in turning around the numbers of ICICI Bank. This gritty lady started out at a time when firms were clearly not hiring women in banking and financial services. 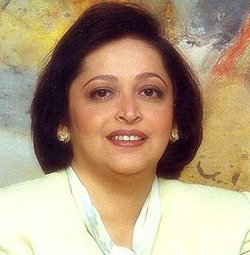 Kidwai faced many firsts – being the first woman to be employed by PWC in India (then Price Waterhouse), the first woman to lead a foreign bank and the first Indian woman to graduate from the Harvard Business School. This top businesswoman has made some unusual choices in life – from studying and working in breweries in Melbourne, Australia to getting married at 40+, to making a career shift into biotechnology. What started as Kiran’s garage based entrepreneurial venture has ended up as 20 billion dollar listed company. 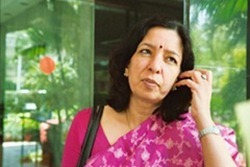 Shikha Sharma, CEO of Axis Bank was once head to head with Chanda Kochhar when only one was to be selected for the top spot for the CEO of ICICI Bank in 2009. 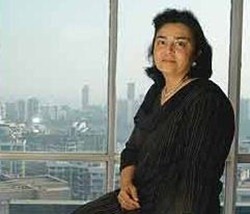 She may not have become the CEO but Shikha Sharma is been one of the founding members of ICICI’s personal financial services and retail banking platforms. 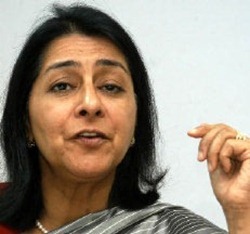 Under her current leadership, Axis Bank has already seen a 27 percent increase year on year for the quarter ending June 2011. A medical doctor, a Harvard University graduate in public health and a strong believer in backing up knowledge with action, Swati Piramal has got everything it takes to be a revolutionary businesswoman. The Piramal family’s business was textiles. She and her husband knew nothing about pharmaceuticals when they bid for Nicholas Laboratories in 1988 to build Piramal Healthcare, the way it is known today. Have you ever seen a woman handling a business of trucks and farm equipment? Welcome to Mallika Srinivasan’s world. This Wharton School graduate chose to handle a male dominated industry and made it the third largest tractor company in the world after John Deers and Mahindra. This ‘tractor woman’ also headed the acquisition of Eicher Motors in 2005. If being the Managing Partner of top Indian law firm, daughter of legendary lawyer Soli Sorabjee and legal advisor on some top Indian business is anything to go by, then Zia Mody is a feisty force to reckon. 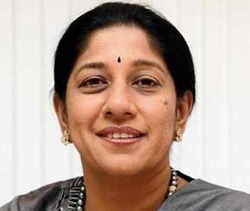 She has overseen legalities on deals for biggies like Reliance Industries, Bharti Airtel, Vedanta, BP, Cairn and Zain. Vinita Bali is well known for walking into Britannia which was a dwindling company and turning it around to what it is today. Britannia’s revenue digits have doubled since 2005-06 when Bali took over. Most of the product differentiating strategies of Britannia are the brain children of Bali. She is the classic case of ‘Love her or hate her, but you cannot ignore her’. 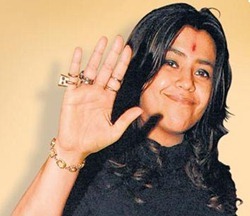 Adored and abhorred by millions across India, Ekta Kapoor has changed the face of Indian television from a decade and is in no shape to look back. With most of her shows ringing in the cash registers with high TRPs, she’s now looking at producing niche film content that has already found popularity amongst film buffs. Working in a team that comprises two of her real sisters, Reddy is managing a chain of 54 hospitals across the country. Her aim is to strive for better healthcare delivery procedures combined with cost effective outcomes. Fervently growing the brand of Apollo Hospitals that was founded by her father, Reddy still feels enough is not being done for the health of the average Indian woman. These 10 Indian Businesswomen are source of inspiration of countless women in India! 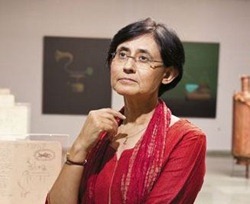 "Top 10 Indian businesswomen of 2011! ", 5 out of 5 based on 1 ratings. Kaushambi Vaishnav is a Freelancer with professional and personal interest in media, technology, business, current affairs and the internet. Why the Indian Auto story is like an overrated Bollywood movie! Top 10 stocks to pick up in this falling market! Top 10 News-Makers of 2010! ideal for would b businesswomen…. good work all business lady god bless you. Great Blog , happened to discover it on Indiblogger. Great Article! A source of inspiration for all women in India. It shows that we are in the 21st century where women showing same level of participation as men. your article is very interesting but I am looking for more woman power participation in Indian politics. That can only change the real picture of India. The personalities you mentioned are very iconic and i am great admirer of all of them.